Fluoramics makes products that protect your investment and keep everything running smoothly. 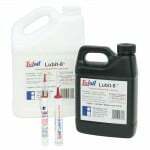 If you have recreation products like bikes, RVs, ATVs, and boats, or electric motors and tools like sewing machines, chain saws, and hedge trimmers, you need Fluoramics Lubit-8 with its amazing needle applicator to keep them lubricated. 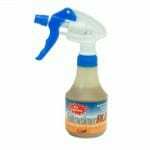 If you own a car, SUV, truck, or motorcycle, Tufoil for Engines will keep them running like new, and getting more miles per gallon while incurring less maintenance. 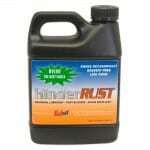 And if you live near the coast, where corrosion is a constant threat to vehicles, tools, door locks, and hinges, then HinderRUST definitely needs to be in your toolbox. Fluoramics products are what the professionals use, and yet they are priced to be affordable for every household. Visit our shopping cart and give Fluoramics products a try!